Have fun in the jungle. 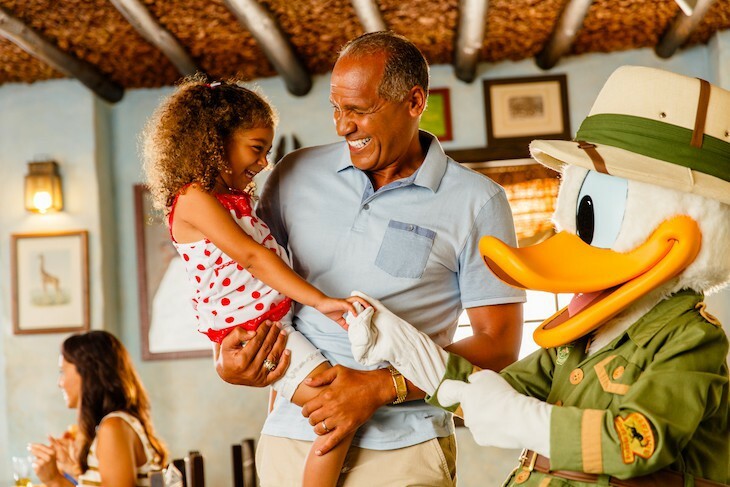 Join Donald and Friends for a buffet with an African flair. Asian food in an atmospheric spot near Expedition Everest. Signature dining at Disney's Animal Kingdom. African-inspired breakfast, lunch, and dinner buffet with Donald and Friends. 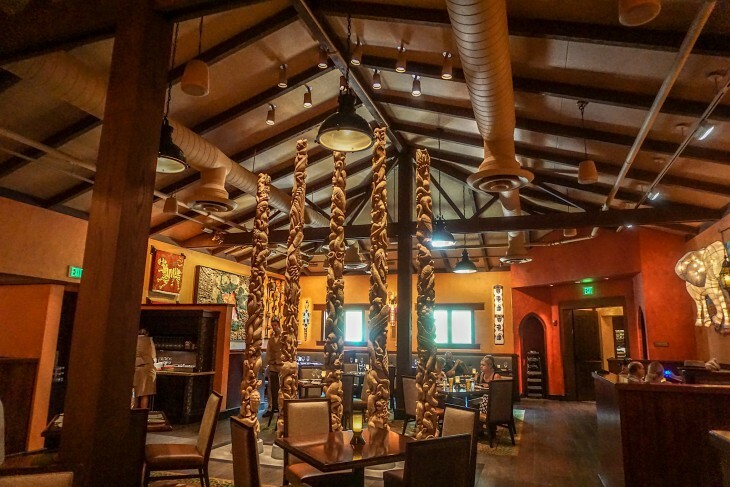 One of Disney’s more interesting buffets, Tusker House offers a wide variety of healthy fare, an emphasis on whole grains, and many vegetarian choices, all with an African twist. Accompany your meal with a nice glass of South African wine and save room for the plethora of savory desserts served in tasting portions perfect for trying just a bite of everything. Better yet, Donald, Daisy, Mickey, and Goofy are on hand to spice up the atmosphere. American cuisine at the Entrance Plaza. Breakfast, lunch, and dinner. African, Asian, and Latin-inspired cuisine. Lunch and dinner. Finer dining has come to Disney’s Animal Kingdom Park. Tiffins sits at the entrance to Pandora: World of Avatar with a not only a more sophisticated menu but Nomad, a much-needed-for-this-park, indoor-outdoor lounge overlooking a peaceful waterway. 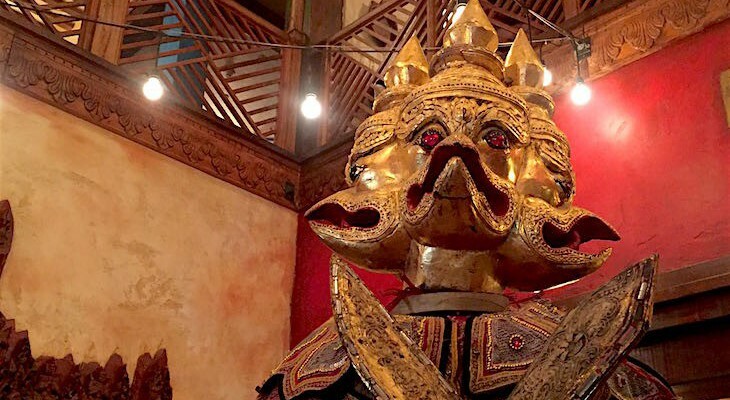 Inside are three dining areas: Trek Gallery with its Asian influences; Grand Gallery, the largest filled with carved wood poles and walls of folk art from indigenous artists from around the world; and Safari Gallery celebrating Eastern and Southern Africa. 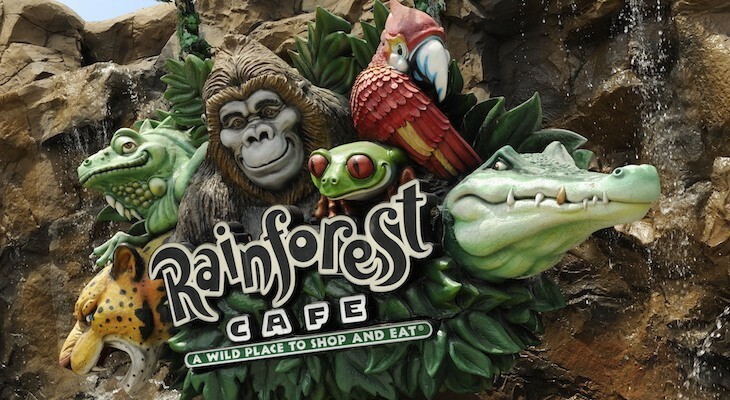 What the restaurant’s artwork represents are the various places the Disney Imagineers visited on their quest to create the Animal Kingdom park; therefore, as a reflection of this, the menu is global and exotic. The house bread served on arrival is a wheat focaccia accompanied by olive oil and pomegranate-molasses dipping sauce. Moving on to the first course, the mushroom soup with truffle oil is delicious but quite rich. Another starter to consider is a beautiful charcuterie platter with cured and smoked meats. A daily sustainable fish—this time branzino—is prepared crispy fried in a light batter and served on a somewhat gritty tasting, fermented and curry-spiced black bean sauce. Scattered atop the fish is a crispy green papaya salad. For dinner the fish is served whole so an exciting presentation for sure. Of course the most popular choice is the Surf and Turf, grilled Wagyu beef and lobster tail accompanied by purple potatoes, charred peppers, chimichurri butter, red wine reduction. Asian cuisine. Lunch and dinner.